Eumaios and Odysseus (1893). Georg Christian Freund (1821–1900). Image via Europeana. §2. During a meeting for the teaching fellows of “Heroes 2017,” we had a conversation about whether there was a fitting Latin translation for ainos as it is used in Homeric epic. That conversation led to the creation of this two-part essay, in which I attempt to find a suitable Latin translation for the Greek term. With this goal in mind, I begin by examining an example of an ainos in the Odyssey in order to clarify its use and limitations as a literary device in Homeric epic. Comparisons to other Homeric ainoi prove useful in this section. I conclude this first part by distinguishing Homeric ainoi from the Hesiodic and Aesopic types, and other types of riddles in Greek literature. §3. Later, in part two, I consider how ainoi manifest in Roman literature by exploring Latin translations of the term ainos provided by the first century CE Roman grammarian Quintilian. Quintilian gives us fabula, along with its diminutive fabella. In looking at Quintilian’s definitions of these terms and the examples he provides, I find that while the examples recall certain types of Greek ainoi, they are distinct from those we find in Homer. Another term indicated by Quintilian is apologus, derived from the Greek ἀπόλογος. In examining this word and its usages, I show how it is similar to our concept of ainos, but used inconsistently across Latin literature. Looking in the same way at the Latin aenigma,borrowed from Greek αἴνιγμα, itself derived from αἶνος, I realize another imperfect translation for the Greek concept. Following the exploration of these terms, I close part two with a look at a Homeric-type ainos in Latin literature not mentioned by Quintilian, leading to the conclusion that while Homeric-type ainoi do exist in Latin literature, they are not called by any consistent name among the writers and grammarians of antiquity. §4. 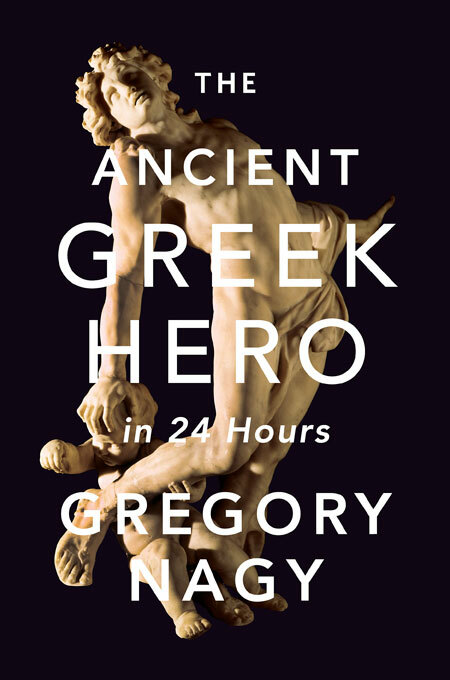 In his book The Ancient Greek Hero in 24 Hours, Nagy offers a definition of ainos as we encounter it as a literary device in Homer. He calls it, “a performance of ambivalent wording that becomes clarified once it is correctly understood and then applied in moments of making moral decisions affecting those who are near and dear.” This “ambivalent wording” takes the form of a story that contains a hidden message. The Oxford Classical Dictionary more broadly defines ainos as “a tale or fable containing a hidden lesson for the addressee.” Given these two definitions, we can say that an ainos is a story, or a micro-narrative, within the context of the overall story, or the macro-narrative, of Homeric epic. Examining the interaction between the micro- and macro-narratives can guide us to insights into the characters, themes, and plot of a text. §5. As an ainos is by nature cryptic, the hidden message is not always understood by the listener. Nagy explains that, for the ambivalent wording to be correctly understood, the listener must be qualified to understand it on three levels: mental, moral, and emotional. To qualify mentally, the listener must be clever enough both to recognize that a secret message exists and to understand what the secret message is. To qualify morally, the listener must be noble in character, as the hidden message will contain some moral instruction. Finally, to qualify emotionally, the listener must be considered philos, or near and dear, to the speaker. The listener must connect with the speaker on all three levels to comprehend the secret message and to employ its moral in moments of decision making. §6. In an illuminating example from the Odyssey, Odysseus tells an ainos that his listener Eumaios interprets correctly. Eumaios proves himself qualified to understand the ainos on all three levels. This case is a helpful example of an ainos because it is referred to as an ainos in the story. With occasional comparisons to other epic ainoi, a close look of this self-identified ainos helps clarify some of the uses of an ainos in epic. §7. This scene occurs in Odyssey 14 after Odysseus has arrived at his homeland of Ithaca and has been disguised, by Athena’s power, to look like a beggar. The swineherd Eumaios takes Odysseus in as a guest, not recognizing his long lost master. Inside the swineherd’s hut, Odysseus gives Eumaios a false biography, before launching into a story about a raid he participated in during the Trojan War. According to the narrator, Odysseus does this to test the bounds of Eumaios’ hospitality, to see if the swineherd will offer him a cloak, whether one of his own or a companion’s. The request for a cloak is the secret message of this ainos, and Eumaios’ ability to understand it will decide Odysseus’ willingness to trust him. §8. In the micro-narrative that Odysseus constructs, he casts himself in his identity as a beggar in the role of an unnamed Greek soldier at Troy. He refers to this self in the first person, while speaking of “Odysseus” in the third person, projecting his true identity into a separate character. In the story, the unnamed narrator is out on a scouting mission led by “Odysseus” and Menelaus, who have named him their third in command. When night falls, the narrator realizes he has forgotten a cloak and will freeze, so he asks “Odysseus” for help. Pretending to wake up from a bad dream, “Odysseus” tells a warrior named Thoas to fetch backup from King Agamemnon, lest his foreboding dream come true and the group be ambushed by Trojans. The content of the dream is suppressed, leaving us to imagine that it featured a warning about a Trojan ambush. Supposing this to be the case, we might consider the dream to be a micro-narrative within the micro-narrative; an ainos within the ainos. And both ainoi are told by a character called Odysseus! The “Odysseus” in the micro-narrative effectively dupes Thoas using the dream ainos. Thoas runs off to get unneeded backup, leaving his cloak behind for the narrator. §9. Back in the macro-narrative, Eumaios responds to the story with approval. He calls it a “good ainos,” revealing that he understands that this story has a hidden meaning. He then provides Odysseus with one of his own spare cloaks for the night, thus passing the test and proving his hospitality. He offers his cloak temporarily, but assures his guest that Telemachus, Odysseus’ son, will provide him with a cloak and tunic of his own soon. §10. Eumaios is qualified to understand Odysseus’ ainos. He is mentally qualified in that he understands that this is not just an entertaining story about his master at war, but rather a request for a cloak. Eumaios understands that a guest might not make such a request outright, but rather disguise it out of politeness. Secondly, he is morally qualified, in that he considers it immoral to be inhospitable. He is aware of the expectation of hosts to provide clothing for their guests. This moral uprightness is behind his attentiveness and readiness to provide for his guest’s needs. He is also emotionally qualified; the guest is philos to Eumaios as a result of his professed closeness to Eumaios’ master Odysseus. This connection makes him near and dear in Eumaios’ estimation. Moreover, Odysseus asks that the cloak be given out of a sense of being philos. By complying, Eumaios confirms this bond between them. 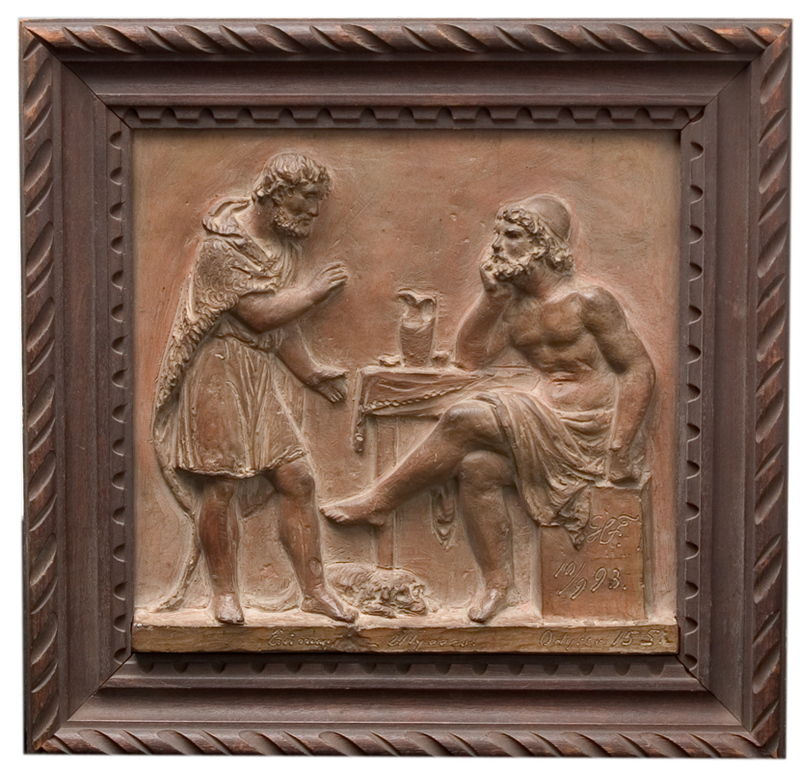 The result of Eumaios’ understanding the ainos is trust between the two men, which was Odysseus’ intention. As a result, Eumaios becomes a main player in Odysseus’ revenge plan against the suitors. Despite this successfully forged alliance, however, Odysseus does not reveal his true identity to Eumaios until much later. §11. Odysseus accomplishes a number of things in the course of telling his ainos. Firstly, he aggrandizes the character he is pretending to be from a lowly beggar to a Greek warrior at the rank of Odysseus and Menelaus, who ask him to lead the expedition as their third in command. At the same time, the story is endearingly self-deprecating, since the beggar seems foolish for forgetting his coat on a cold night. On the other hand, Odysseus aggrandizes his true self, making the third-person Odysseus of the story seem both important, heading up a scouting mission, and clever, using tricks to get his way. This may be interpreted as an effort to win Eumaios’ favor by flattering the master he has expressed adoration for. Finally, this story adheres to xenia, the customs of hospitality. Rather than risking offending his host by asking for more than readily offered, Odysseus politely sidesteps a direct request and asks for a cloak indirectly. The ainos seems all the more effective when we consider that earlier in this scene, Eumaios scoffed at the beggar’s claim to know Odysseus personally and accused him of lying to obtain clothes. In this case, the beggar really has lied to obtain clothes, but because he flattered Eumaios and kept to the rules of hospitality, he was successful. §12. There is an illuminating contrast to this scene in the ainos told by Phoenix to Achilles in Iliad 9. There, Phoenix uses the story of the legendary warrior Meleager to compel Achilles to put away his anger and return to battle. In the story, Meleager is unconvinced by his friends and family to defend his people, but ultimately yields to the wishes of his wife Kleopatra. Phoenix hopes that he will have the same success in the macro-narrative that Kleopatra has in the micro-narrative. But Achilles is not swayed. §13. Nagy explains conclusively how in this ainos, the macro-narrator of the Iliad and Phoenix, the narrator of the micro-narrative, have divergent intentions. Phoenix wishes to prevail upon Achilles the way Kleopatra prevails upon Meleager in the micro-narrative, but the macro-narrator does not parallel Phoenix to Kleopatra. Instead Phoenix and the rest of the embassy resemble the philoi in the story who fail to persuade Meleager. Like Meleager’s philoi, the ambassadors in Iliad 9 are bound to fail. In fact it is Patroklos who is the macro-narrative parallel to Kleopatra, evidenced by their etymologically identical names. And like Kleopatra, Patroklos ultimately convinces Achilles to fight. But because Achilles is unwilling to accept the moral message of Phoenix’s ainos, Patroklos is only able to motivate him to fight by dying, leaving Achilles heartbroken and propelling him into a berserker state. Patroklos’ death therefore embodies the consequences of failing to understand an ainos, while Eumaios’ eventual role as right hand to Odysseus shows the positive consequences of understanding correctly. §14. The master narrator of the Iliad parallels Patroklos in the macro-narrative with Kleopatra in the micro-narrative. This paralleling of characters between micro- and macro-narrative is evident in the cloak ainos as well. For example, Thoas in the micro-narrative has the same role as Eumaios in the macro-narrative, as both men hear a concealed request for a cloak by a man named Odysseus. But where Thoas is tricked into giving up his cloak, Eumaios is in on the secret message, and he offers a cloak willingly. Eumaios understands the ainos where Thoas did not. Thoas in fact is a sort of joke character whose name reflects his purpose in the story; it comes from the verb θέω (theō) ‘to run’. The role of Thoas as recipient of the ainos in the micro-narrative parallels that of Eumaios in the macro-narrative, but sets the two as foils, yielding a flattering portrayal of Eumaios. §15. The paralleling of characters between the micro- and macro-narratives is a fundamental aspect of epic ainoi. We see this as well in an ainos from the Works and Days of Hesiod. This poem is an address by Hesiod to his dimwitted brother Perses. The ainos occurs when Hesiod tells the story of the Titan Prometheus and his brother Epimetheus, who ignores Prometheus’ warnings not to accept gifts from Zeus, and so dooms mankind. The gift Epimetheus accepts is the first mortal woman, Pandora, a “sheer, hopeless trick.” In this case Hesiod tells the story of the Titan brothers not merely to entertain, but to create a parallel between Perses and Epimetheus, between himself and Prometheus, and between Pandora and all women. Accordingly, he warns Perses against trusting women at other points in the poem. Hesiod therefore uses this ainos to underscore his advice to Perses about heeding his wiser brother and avoiding women. §16. In each of these examples, not only the characters, but also the sequences of events between micro- and macro-narratives are parallel. The plot of Odysseus’ ainos has three stages: first, the narrator realizes he needs a cloak; then he finds a sneaky way to ask for one, with the help of “Odysseus”; and lastly, he obtains one. In the corresponding macro-narrative, only the first two of these three events have taken place at the time of the storytelling. The disguised Odysseus has realized he needs a cloak and has found a cryptic way to ask for one. By telling the ainos, Odysseus manifests the third event into reality. He tells a story very close to real life and ends it with the event he would like to happen. Likewise in the Iliad, Phoenix’s story presents, in order, a warrior refusing to fight, his loved ones trying to convince him, and the warrior agreeing to fight. At this point in the macro-narrative, we have reached the second event, when the loved ones attempt to convince the warrior to fight. Phoenix hopes that by ending the story with Meleager agreeing to fight, the same outcome will materialize in the real world. Hesiod, on the other hand, uses an ainos in the opposite way, presenting an outcome he wants to avoid. He hopes that if ever his brother finds himself at the midway point of the Titan narrative, confronted with a beguiling woman, he will take the story as a warning and stay away from her. Given these three examples, we can say that an ainos has two key components in terms of its plot: firstly, it mirrors the macro-narrative in its sequence of events; secondly, it presents the speaker’s desired or undesired outcome, in an effort either to manifest the desired outcome or to avoid the undesired outcome. §17. While Hesiod does not explicitly call the Pandora story an ainos, its characteristics make it identifiable as one. At another point in the same poem, he tells a story that is called ainos. This story is the first attested Greek fable, the story of the Hawk and the Nightingale. Hesiod addresses the tale to kings, “who understand,” recalling our definition of ainos as accessible to those who are mentally qualified. In the story, a hawk chides a nightingale that he carries in his talons for crying. He tells her to submit to her superiors and states the apparent moral of the story: it’s pointless to struggle against the powerful. But the true moral is the opposite of this. After Hesiod pulls out of the narrative he instructs his brother to adhere to dikē ‘justice’ and not hubris ‘wanton violence.’ The hawk for his violent abuse of power exemplifies hubris. §18. Hesiod’s fable is marked out from the other ainoi we have examined by its implausibility. Because animals do not talk, this story cannot be taken as true either by Perses, the audience within the poem, or by us, the audience outside the poem. This implausibility combined with the story’s identification as an ainos in its introduction make the presence of a double message obvious from the start. Homeric ainoi on the other hand seem to prefer the plausible, where only the qualified listener can detect any concealment and thus, the story’s true meaning. In the case of the cloak ainos, the audience knows Odysseus is making it up on the spot. He must be; it is impossible for him to have interacted with himself at Troy. But Eumaios is offered the story as if it is truth, an honest recollection brought on by a pang of nostalgia. In fact, Odysseus insists that he is being more honest than he normally would because he has drunk wine, which makes men act foolish and talk too much. It is Eumaios’ detection that the story is an ainosthat proves his intellectual qualification to understand it, and thereby also proves his trustworthiness to Odysseus. Similarly, in the Iliad, the story of Meleager is presented as fact by Phoenix who boasts “total recall” of the events told. Achilles must detect that there is more to the story than its surface meaning in order to grasp its message. In Hesiod’s Hawk and the Nightingale, on the other hand, the presence of a hidden message is made plain. §19. The emphasis on plausibility in Homeric ainoi is evident when we consider the one Homeric ainos that resembles a traditional fable with talking animals. In this case, the implausible is made plausible, as the talking animals are only characters in a dream. This is Penelope’s dream, which she describes to Odysseus at their meeting in Odyssey 19. Here she tells the apparent stranger that she dreamed an eagle killed her beloved flock of geese and when she cried, the eagle told her he was actually her husband Odysseus and the geese were the suitors. As in Hesiod’s fable, we have talking animals, specifically birds, one of whom acts violently before stating the tale’s apparent meaning. The ainos is also similar to that told by Odysseus to Eumaios, in that it acts as a test, as Penelope gauges the stranger’s reaction to the idea of the suitors being killed. She may be testing the stranger’s loyalty to her lost husband or even trying to ascertain whether he is Odysseus. So while this ainos has similarities with Hesiod’s beast fable, it is ultimately more closely aligned with the Homeric ainoi for its plausibility and the ulterior motives on the speaker’s part. We see here how Homeric ainoi differ from the Greek fable genre as coined by Hesiod. §20. Hesiod’s use of a beast fable as an ainos not only marks the first attestation of the fable in the Greek world, but also complicates the meaning of the term ainos, which sometimes refers to a cryptic story, as in Homer, and sometimes means fable, referring to an implausible but educational story, often with an explicit moral and with talking animals. In the archaic period, ainos seems to have both meanings. Ainoi therefore can be fables, but they do not need to be. Fables tend to have fantastical elements that make them implausible, while ainoi that are not fables are presented as perfectly plausible tales, with the hidden meaning accessible to only a few. It is the latter type that we find in Homeric epic. §21. Aesop most famously is credited with compositions of fables, and his works add further nuance to the term ainos. The classical collection of Aesopic fables is transmitted without any literary context, lacking the framework of a macro-narrative. Instead they sometimes have a pro- or epimythion, a sort of introduction or concluding statement advising listeners to apply the moral to their own lives. So while Homeric ainoi have similarities to Aesopic fables, they remain distinct because of their speakers’ claims to truthfulness and because of the context of the macro-narrative. §23. This sort of riddle is distinct from Homeric ainoi in that it broadcasts itself as a riddle, presenting a paradox that requires a one word solution for an answer. Homeric ainoi, on the other hand, only convey a hidden meaning to those who are qualified to perceive it. The aenigma is also distinct for its lack of context, the macro-narrative, and its lack of narrative content, the micro-narrative. Riddles like that of the Sphinx therefore fall into a separate category than the sort of riddle under consideration here. §24. 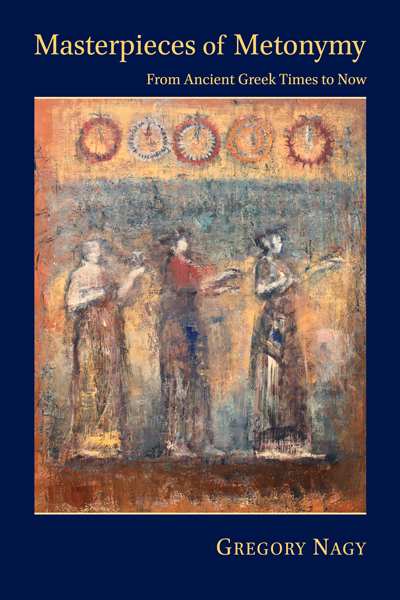 Having drawn distinctions among Homeric, Hesiodic, and Aesopic ainoi and other types of Greek literary riddles, we can next examine whether and how Homeric ainoi manifest in Latin literature. In the second part of this essay, I consider a series of Latin translations of the word ainos as provided by Quintilian and compare them to the defining features of the examples discussed above. The connection between the seemingly disparate definitions of ainos as ‘praise’, ‘speech act’, and ‘riddle’ is summarized here and analyzed in more detail in chapters 6 and 11 of Gregory Nagy’s Pindar’s Homer (referred to in this paper as PH), in chapter 12 of Nagy’s The Best of the Achaeans: Concepts of the Hero in Archaic Greek Poetry (referred to as BA), and in Hour 2 of Nagy’s The Ancient Greek Hero in 24 Hours (referred to as H24H). PH 6§7 on these translations. Unlike the Pindaric odes, Homeric poetry does not fall under the genre ainos. Ainoi as a genre are occasional; they refer to the here-and-now, only sometimes referencing the mythical past. Homeric epics, meanwhile, are set in the mythical past. But the epics nevertheless make use of ainoi in communication between characters. We see this in cases where one character offers to another either praise or instruction on the current situation, the ainos thus being occasional in the context of the story. I summarize the criteria listed at PH 6§5 and H24H 2§72. Odyssey 14.508. See BA 12§§14–17. Van Dijk (1997:125) does not consider this a true ainos because it “is not metaphorical.” But Van Dijk only considers ainoi that resemble Aesopic fables and does not address the other sort of ainos, which appears in Homer and which is the focus of this study. The tale spans Odyssey 14.462–506. The false biography mentioned here is generally referred to as the “Cretan Tales.” It may be appropriate to call the Cretan Tales an ainos as well. On the Cretan Tales as a window into an alternate version of the Odyssey, see Nagy (2017). I summarize Odyssey 14.459–461. The narrator uses the word πειρητίζων to make clear that Odysseus is testing Eumaios at 14.459. This is the epic form of the verb πειράω, ‘to test, make trial’. The dream is θεῖός, divinely sent (14.495). We might infer similarities to other prophetic dreams in Homer, such as Agamemnon’s dream in Iliad 2; Achilles’ dream in Iliad 23; Penelope’s dream in Odyssey 4; Nausicaa’s dream in Odyssey 6. These dreams feature a god or god-sent messenger giving the character instructions, often with an ulterior motive. On dreams in Homer, see Dodds (1951:102–134). We will see a fuller dream-ainos later on in the Odyssey, when Penelope uses a dream to test Odysseus’ identity (19.535–550). Odyssey 14.508 αἶνος μέν τοι ἀμύμων. See Minchin (1992:26 n.7) on the listener’s approval as a formal component of storytelling. Emlyn-Jones (1986:1) argues that what Eumaios approves of is the telling of an entertaining story. Most (1989a:132) says Eumaios is rewarding the “aesthetic quality of the discourse.” I agree with Most and add that Eumaios’ approval is based in the rules of hospitality; he is pleased with his guest for concealing this request politely. Summarizing Odyssey 14.507–522. Host duties are a prominent theme throughout the Odyssey, in which the narrator often uses characters’ adherence or lack of adherence to host duties to present them as either sympathetic or villainous. Eumaios has repeatedly expressed commitment to xenia, or the rites associated with hospitality (as at 14.56–57) and outrage at those who would abuse xenia (14.93–95, 122–132) thereby showing himself to the audience of the Odyssey to be a sympathetic character. On hospitality in the Odyssey, see Murnaghan (2011:67–86); Stewart (1975); Muellner (1976: 85–89, 95–96). In this scene Eumaios has anticipated a request for clothes, considering it customary between guest and host (14.131–132). The rule that hosts should provide guests with clothing is exemplified throughout the Odyssey, starting with Nestor’s insistence on providing Telemachus with cloaks and blankets (3.346–355). Nestor uses the same word for cloak, χλαῖνα, that Odysseus uses in his story (14.478, 480, 488, etc.). See Block (1985:3 n.8) for a full list of hosts offering clothing to guests in the Odyssey. On customary gift-giving in Homer, see Murnaghan (2011:67–68); Muellner (1976:88). On the function of the cloak and chiton in the Homeric epics, see Levaniouk (2011:109–135). Eumaios expresses a deep devotion to Odysseus at Odyssey 14.137–147. But up to this point, the beggar’s claims to know that Odysseus is alive have left Eumaios unimpressed, so disillusioned is he by lying travelers. But the cloak story seems to convince him that his guest really does know his master, presumably because he characterizes him so accurately. If Eumaios considered the point further, he might see the parallel between the Odysseus of the story and the guest telling it, with both men cryptically requesting a cloak, and realize who he is really talking to. Odyssey 14.505 φιλότητι. See also BA 12§16. In this way, the ainos exemplifies the secretive and manipulative aspects of Odysseus’ character. As Block (1985:2) puts it, “by telling tales that lead others to clothe him… falsely, Odysseus elicits proof that he is himself—the master of false words.” Shay (2002:4) interprets this tendency of Odysseus to withhold his identity as “the persistence into civilian life of adaptations necessary to survive battle… plus the destruction of the capacity for social trust,” or complex PTSD. Shay supposes that Odysseus has internalized how revealing his identity brought about the wrath of Poseidon in the Cyclops episode. Now at the other extreme, Odysseus torments his own father before revealing his true self, even after the threat of the suitors has been defeated; Shay (2002:137–144). Odyssey 14.470–471. Especially with words like νύξας ‘nudging’ showing the camaraderie among them (Odyssey 14.485); see Bowie (2013:223). Observed by Bowie (2013:21–22, 227). Odysseus is also the only character not said to wear a cloak in the night raid of Iliad 10, on which see Muellner (1976:96n.43). Forgetting equipment is in fact a hallmark of the ambush scene, as explained by Dué and Ebbott (2010:53). Odyssey 14.509, Eumaios says the ainos is told kata moiran, meaning “properly; in the customary way,” as in, according to the customs of xenia. See Parry (1994:8–9) on the meanings of kata moiran and kata kosmon in the Iliad and the Odyssey. Odysseus was so successful and Eumaios so impressed, in fact, that Eumaios later says Odysseus “bewitched” him with this tale; Odyssey 17.514 θέλγοιτό; 17.521 ἔθελγε. H24H 2§§66, 2§§83–84, PH 6§89: Kleopatra and Patroklos are different versions of the same name, both meaning ‘glory of the ancestors’. Interpreted allegorically, it is Achilles’ desire for glory that compels him to fight. On the effects of losing a beloved companion in battle and the trademarks of the berserker state, using examples from the Iliad and the real recollections of Vietnam veterans, see Shay (1995:39–67, 77–98). Bowie (2013:229) calls him “Mr. Swift.” See Marks (2003) for further analysis of the Thoas joke and the argument that Thoas’ appearances throughout the Iliad and Odyssey allude to a lost alternate version of the Odyssey. There is a further layer of the joke in that Thoas is identifiable by his patronymic as Aitolian (Odyssey 14.499). Earlier in the same scene, Eumaios complains that an Aitolian once tricked him into thinking Odysseus was alive, leaving him bitter toward travelers (14.378–385). Since Eumaios’ Aitolian was a liar and a bad guest, perhaps Odysseus makes an Aitolian look foolish in his story to ally himself with Eumaios against Aitolians. See also Brennan (1987); Marks (2003:214–216). Hesiod uses the epithet νήπιος (nēpios) for his brother, often translated as ‘simple, childish’ but more accurately meaning, ‘disconnected from one’s ancestors’, as at Works and Days 286, 397, 633. Edmunds (1990) proves the latter translation. Hesiod Works and Days 54–105. Hesiod Works and Days 83 δόλον αἰπὺν ἀμήχανον (= Hesiod Theogony 589). Hesiod warns Perses about women using their charm to steal from men at Works and Days 373–375. Pandora, as woman-prototype, is a parallel to all women in the macro-narrative of the poet’s life; see West (1978:250–251). Most (1989a:132) “all of Odysseus’ lies are directed to the securing of practical ends”; Marks (2003:216 n.18) “an ainos in ancient Greek epic is often connected with a material reward.” BA 12§15. Hesiod Works and Days 202 νῦν δ᾽ αἶνον βασιλεῦσιν ἐρέω φρονέουσι καὶ αὐτοῖς. A similar line appears at Archilochus 185.1, where ainos specifically means “fable.” See Nagy (1990b:63–79); West (1978:205). Quintilian Institutio 5.11.19 (discussed below); Van Dijk (1997:46), “Quintilian mentions Hesiod as the primus auctor of fable, which is accurate for extant ancient literature.” But while Hesiod gives us the earliest fable in Greek literature, the tradition extends as far back as the second millennium in Sumerian culture. There is also apparent crossover between some Greek and Babylonian fables; see West (1978:204). See Nagy (2011§§121–124) on an Indo-European precedent for Greek fables. Nagy (1990b:65) translates φρονέουσι as ‘aware’. West (1978:205–206) suggests that with the qualifier “those who understand,” Hesiod is either being polite or pressing the princes to agree with what follows. Hesiod Works and Days 203–211. Hesiod Works and Days 213. Definitions from LSJ. Nagy (1990b:63–70) examines the fable in the context of Hesiod’s theme of the struggle between hubris and dikē and the ultimate triumph of dikē. See also West (1978:204–209). Parry (1994:12–13), “His tales on Ithaka are… palpable fabrications, short-term strategies to mislead the victim only as long as is necessary. The audience are in on the deception from the start.” Also, Richardson (1996:401–402), “[W]e, the narrative audience, know that, within the fictional world of the Odyssey, this story is a complete lie… We are in a position similar to Athena’s at 13.256–286 when she listens to Odysseus’ fully detailed impromptu lie about his identity: she knows that not a word of it is true yet she hears him out to the end and enjoys it as a well-told story.” Although Block (1985:6) suggests there is an element of truth to the story in that Odysseus is reworking an event that did happen at Troy, his night raid with Diomedes in Iliad 10. Noting further parallels between these two scenes and other scenes of ambush, Dué and Ebbott (2010:53, 74–76); see also Muellner (1976:96 n.43). As Odysseus pretends when introducing the story at Odyssey 14.462–469. He reiterates this longing for the past again when concluding the story at 14.503. Odyssey 14.463–466. He also introduces the story as a boast, εὐξάμενός. That is not to say it is inaccurate, as Muellner (1976:78) defines εὔχομαι precisely to mean, ‘to say (proudly, contentiously, accurately)’. This is the only instance of εὔχομαι in a secular context not used to define one’s ancestry in the Odyssey. Muellner (1976:96–97) justifies this marked usage as boastful to raise the beggar’s prestige. H24H 2§§1–22 on memnēmai meaning “I have total recall” and on Phoenix taking on all the authority of the master narrator to tell this story as accurately as possible. It is also worth noting the one instance in Homeric poetry where an animal speaks like a human. This is Achilles’ horse Xanthus in Iliad 19, who is quickly silenced by the Erinyes, ‘Furies.’ On the talking horse, see Johnston (1992). On Penelope testing Odysseus, see H24H 13§§23–25. Also Levaniouk (2011:109), “her questions seem to be designed precisely to give her guest the opportunity of proving to her that he is Odysseus.” For a detailed analysis of the dream, see Levaniouk (2011:229–246); Rutherford (1992:194–196). For discussion on how soon Penelope recognizes Odysseus, see Vlahos (2011); Emlyn-Jones (1984); Harsh (1950). Toward a definition of ainos in its function as fable, Nagy (2011§§127–142, §§167–172); Van Dijk (1997:34–37). See PH 6§7. West (1978:205) refers to ainos as “a fable or other story” with a hidden message. See Nagy (2011) on the ainoi of Aesop, responding to Kurke (2011). Van Dijk (1997) gives ainoi as one of three terms used to describe Aesopic fables. The other two are even broader, mythoi and logoi, both of which can mean “stories.” On mythos as fable, see Nagy (2011§§95–98). The Sphinx’s riddle is called an aenigma at Sophocles Oedipus Tyrannus 393, 1525; Euripides Phoenissae 48. On the term and its relationship to ainos, see PH 6§6. Apollodorus Bibliotecha 3.5.8–9, tr. Frazer. The riddle is alluded to but not stated explicitly in Sophocles’ play. For an overview of the riddle, its meaning, and history, see Edmunds (1981); Segal (2001:32–37); Kamerbeek (1967:4–5, 10). Many similar riddles can be found in the work of Athenaeus, a Greek rhetorician of the second and third centuries CE. For example: “There are twin sisters, one of whom gives birth to the other, and after giving birth she is herself born from the one she bore,” referring to night and day (Athenaeus 10.452a. tr. Olson). Such riddles are often called griphoi. Liddell and Scott define γρῖφος as “anything intricate, dark saying, riddle,” which is so broad as to have overlap with our definition of ainos. Adding to the confusion, Eustathius of Thessalonike (b. 1115 CE), at line 14.408 in his commentary on the Odyssey, attempts to clarify the term ainos as used by Eumaios by comparing it to a griphos.